Fifteen months after a Falcon 9 rocket went up in flames atop Cape Canaveral’s Space Launch Complex 40, the re-built facility supported its first Static Fire Test of a Falcon 9 rocket this week in preparation for SpaceX’s next resupply mission to the International Space Station set for liftoff as early as Tuesday. Wednesday’s Static Fire Test involved the flight-proven Falcon 9 booster for the SpX-13 mission firing up for seven seconds to deliver performance data feeding into the final reviews ahead of a planned December 12 liftoff. 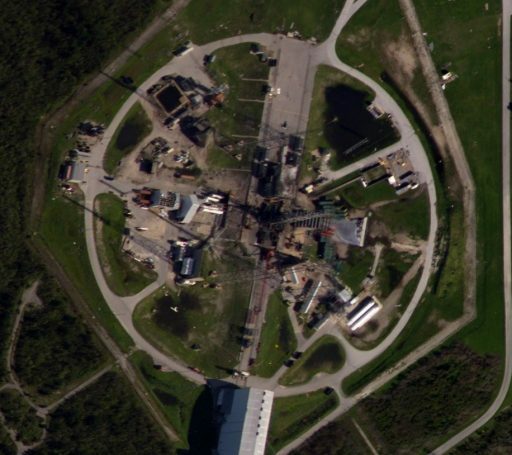 Space Launch Complex 40, a former Titan launch pad handed over to SpaceX in 2007, was taken out of service on September 1st 2016 when a Falcon 9 rocket counting down to a routine Static Fire Test suffered a destructive failure on its second stage that caused the entire vehicle to erupt in flames and collapse to the pad floor in a wall of fire. 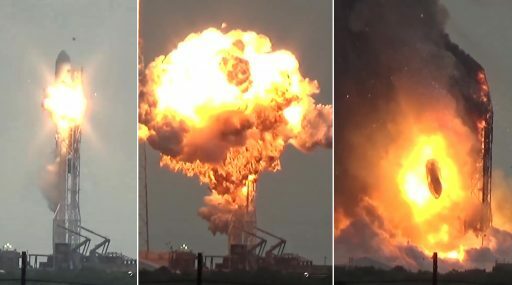 The accident claimed the loss of the Falcon 9 rocket and the $195 million AMOS-6 communications satellite that had been placed atop Falcon 9 for the static test – a procedure that has since been changed by the California-based launch operator. In addition to the loss of vehicle, the mishap caused severe damage to Pad 40’s ground facilities. Initial work at the launch pad in the days after the accident were focused on collecting debris related to Falcon 9 to aid the investigation into what happened while initial damage surveys were also performed on the grounds of SLC-40. Severe damage was noted to the Transporter-Erector-Launcher device that had faced the brunt of the conflagration, the launch mount onto which the 500-metric-ton vehicle collapsed, cross-country propellant and pressurant feed lines, the pad’s electrical and data infrastructure and the flame trench in which the Kerosene-fueled fire burned for several hours after the event. The Horizontal Integration Facility and the pad’s lightning towers did not receive any significant damage and the pad’s foundation was also found in good condition. While engineering teams were busy piecing together an extremely complex failure scenario, teams on site at Florida’s Space Coast were facing a twofold challenge: SpaceX opted to prioritize the activation of Launch Complex 39A at the Kennedy Space Center and move Falcon 9 operations there while SLC-40 was re-built. This decision paid off as SpaceX was able to return to East Coast launch operations in February 2017 and has since managed to catch up with its manifest in what is the company’s busiest year to date with a total of 16 successful launches completed so far, 12 of which originated from LC-39A. The effort to re-build Space Launch Complex 40 started in earnest in February after LC-39A had supported its first Static Fire Campaign for the Dragon SpX-10 mission. In addition to returning the pad to service, the re-build effort was also used by SpaceX to introduce a number of upgrades to Pad 40 which had been the company’s oldest Falcon 9 launch facility and lacked a number of elements the newer pads at Vandenberg and Kennedy had. These elements include a new and improved hold-down system, a brand-new Transporter-Erector-Launcher resembling a smaller version of the LC-39A TEL with rapid kickback ability, and revamped Ground Support Equipment including upgrades to the electrical and data infrastructure at the site. Lessons learned from LC-39A were implemented in numerous ways including reinforcements to protection elements to allow for a more rapid turnaround between missions. This will be aided by the rapid kickback of the TEL which moves propellant umbilicals, connection points and commodity lines out of the plume of the ascending rocket to reduce wear and tear on the equipment. Having two East Coast launch pads with rapid turnaround capabilities will be paramount for SpaceX’s future goals of further stepping up its launch rate with over 30 missions on the manifest for 2018. In all, re-building SLC-40 took around ten months and the site is now ready to re-start Falcon 9 launch operations – freeing up Launch Complex 39A for final modifications ahead of the inaugural Falcon Heavy mission before the pad will support a combination of Falcon Heavy launches plus Falcon 9 missions with crewed and Dragon cargo spacecraft. 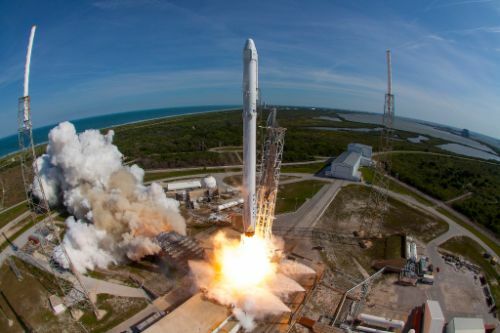 Going first from the revamped SLC-40 launch pad is a ‘flight-proven’ Falcon 9 rocket carrying SpaceX’s 13th operational Dragon mission into orbit to deliver 2,205 Kilograms of equipment and supplies to the International Space Station. SpX-13 is the second re-use mission of the Dragon spacecraft, employing the Dragon C108 spacecraft that flew for 33 days on the SpX-6 mission in 2015, and an additional re-use element will be the Falcon 9 first stage as this is the first ISS logistics mission to use a previously flown booster. SpaceX conducted its first re-use mission in March after completing detailed inspections and component lifetime testing on returned Falcon 9 first stages. Another two re-flight missions have followed since and SpaceX provided NASA with extensive documentation for engineering reviews into using previously flown boosters for Commercial Resupply Services Missions. NASA determined that using first stages with one prior Low Earth Orbit mission will add no risk to the overall success of the CRS mission and provided SpaceX the green light to fly a refurbished booster on the SpX-13 mission. 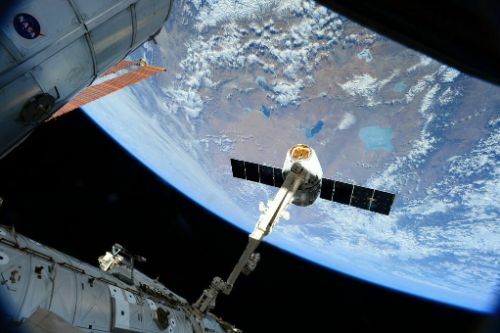 Unlike previous first stages that were thoroughly cleaned after their first flights, Core #1035 is still sporting much of the soot from its first flight back in June when it dispatched the Dragon SpX-11 mission toward orbit. Only cleaning critical areas like weld seams that require post-flight inspection cut some of the turnaround time and cost. The Static Fire Test for the SpX-13 mission was initially expected as early as Saturday, December 2nd – though the date had always been subject to change given the number of first-time milestones that needed to be achieved before getting to the firing including rollout and erection of the launch vehicle using a brand new TEL, verifying all fluid and electrical umbilicals fit properly and going through functional checks of the revamped Ground Support Equipment. 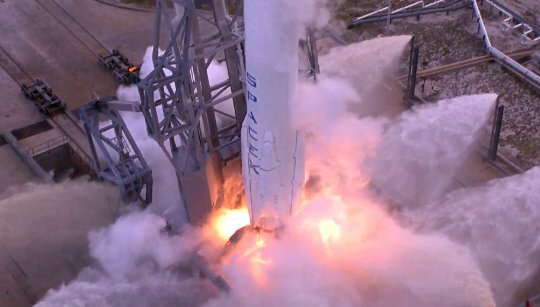 The Static Fire Test continued slipping on a day-to-day basis as SpaceX teams worked through the expected teething issues with the new pad systems, also causing the launch to slip from December 8 to the 12th to provide sufficient schedule margin. Having taken its vertical position atop SLC-40, Falcon 9 – still missing its payload – went through a final set of verifications on Tuesday before pressing into countdown operations on Wednesday. Some time was spent holding the countdown inside T-2 hours before pressing into the expedited propellant loading sequence to pump over 500 metric tons of sub-cooled Liquid Oxygen and chilled Kerosene fuel into the two-stage rocket. The Static Fire Test acts as a final end-to-end test of the Falcon 9 launch vehicle and all ground systems involved in getting the vehicle off the pad in order to avoid any surprises on launch day. Especially for a re-built or new pad, the test provides an extremely valuable opportunity to evaluate the propellant handling system to ensure Falcon’s expedited tanking operation can be supported. 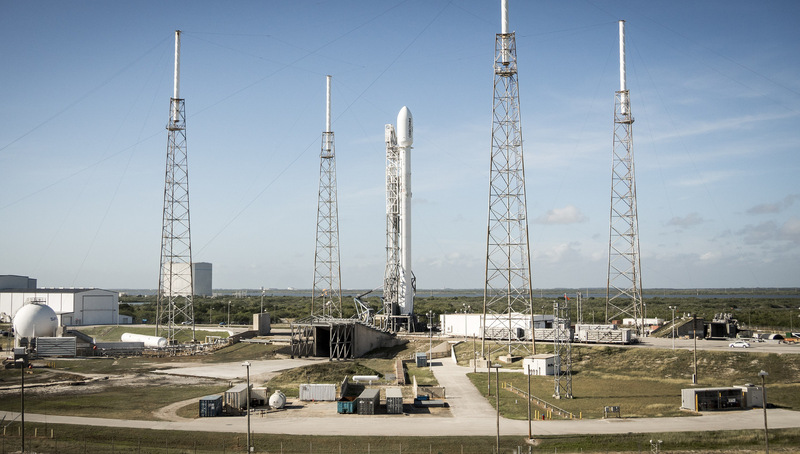 Falcon 9 came to life at 3p.m. local time on Wednesday (20 UTC) – three hours into a 12-hour test window, firing its nine Merlin 1D first stage engines for seven seconds – the typical duration for flight-proven boosters that are fired four seconds longer than their factory-new colleagues. Per standard procedure, SpaceX engineering went through a quick-look review to confirm the firing met its target duration and all required performance parameters were captured. 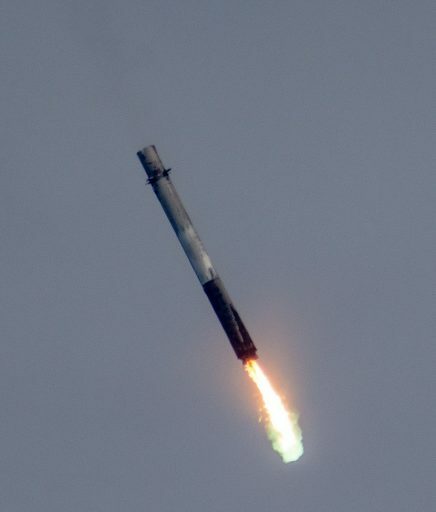 Falcon 9 was then to be de-tanked and return to the Horizontal Integration Facility where it will meet the Dragon spacecraft ahead of rollout the day before launch to facilitate the late cargo loading operation that will involve powered payloads like laboratory freezers, forty mice participating in the seventh Rodent Research Mission to the ISS and other time-critical payloads packed into double cold bags. After SpX-13, SpaceX will close out its busiest launch year to date with the Iridium-4 mission to loft the next group of ten Iridium-NEXT communications satellites, also using a flight-proven first stage. SpaceX is expected to open 2018 with the secretive Zuma mission that is being shifted from LC-39A to SLC-40 after the flight had to be placed on hold due to reviews into a potential payload fairing issue, slipping from a mid-November launch target.